← Outsourcing Justice to the ICC – What Should Be Done? It wasn’t nearly as close as the pundits and media suggested. 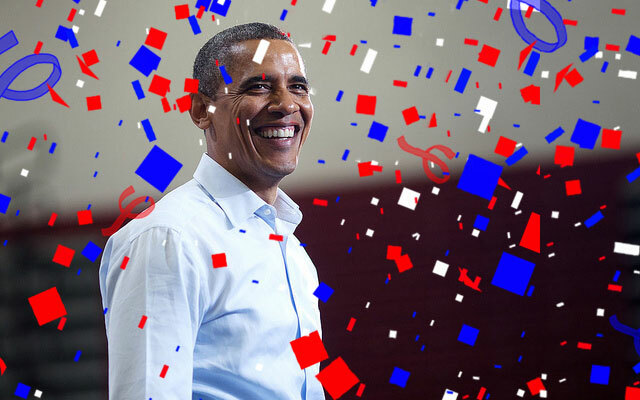 As of writing, it seems that Barack Obama may have defeated Mitt Romney by as many as 100 electoral college votes in the United States Presidential election. Many Americans are relieved. But, at least according to some analyses, it would seem that it is people outside of the US who are most comforted by Obama’s victory. For them – as my Facebook newsfeed overwhelmingly attests – the future of the Land, Home and the World of the free and the brave hinged upon an Obama victory. Many in the international justice community undoubtedly have a glimmer of hope that, at some time during the next four years, Obama will re-sign the Rome Statute of the International Criminal Court (ICC). After all, this time around Obama doesn’t have re-election to worry about and he would seem to be infinitely more likely to sign the Statute than any Republican President. What’s more, all it would take to re-sign the Rome Statute would likely be a brief statement from Obama deposited at the United Nations. But proponents shouldn’t hold their breath. While there are encouraging signs that the US will engage positively with the Court, the likelihood of the US joining the ICC remains slim. 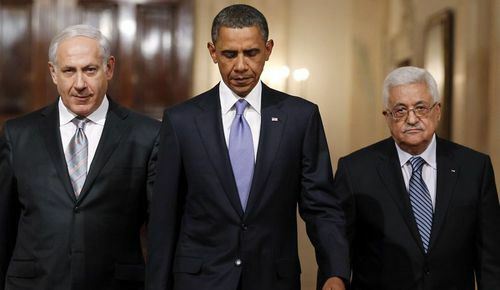 Despite this silence, there are real reasons why the Obama administration could be hesitant to join the ICC. Here are four. Firstly, the American Servicemembers’ Protection Act (ASPA 2002) remains in force and continues to prohibit any enhanced cooperation between the ICC and the US. It is important to remember that such legislation would likely have to be repealed before the US joined the Court and there appears to be little chance of that happening any time soon. Second, there is the not-so-little issue of alleged crimes committed in Afghanistan and Iraq. American officials likely (and probably rightly) fear that if the US acceded to the Rome Statute and accepted the ICC’s jurisdiction back to 2002, it would be vulnerable to an investigation by the Court for its actions in Afghanistan and Iraq. David Scheffer recently argued that proponents of the US joining the ICC should have a prospective-oriented position on US accession, one which seeks to align future American behaviour with international criminal law but does not punish it for past decisions and actions. This could plausibly be achieved if the ICC’s jurisdiction over the US began only from the date the US ratified the Rome Statute. Still, Scheffer’s comments reflect the unlikelihood of US accession if doing so without some guarantees that doing so would preclude an investigation and possible prosecution of any American officials for what was done in Iraq and Afghanistan. Of course, this is also problematized by ASPA, which declares that the US President may authorize “all means necessary and appropriate to bring about the release of any US or allied personnel being detained or imprisoned by, on behalf of, or at the request of the International Criminal Court”. 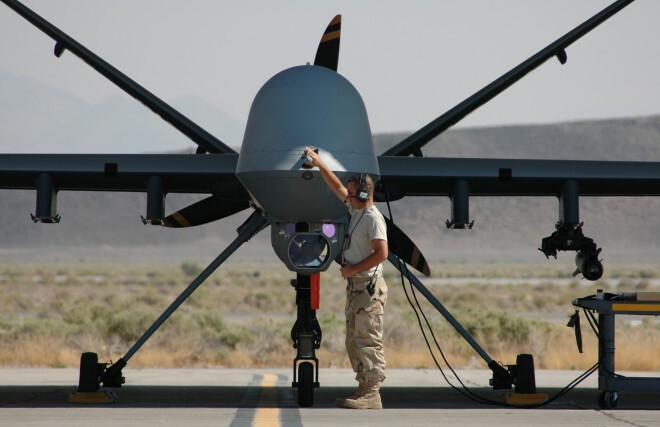 A third issue which could foreseeably complicate any decision by the Obama administration to join the ICC is Obama’s increased reliance on the use of drones and signature strikes in the ‘global war on terror’. As Kevin Jon Heller recently writes in a must-read article on the subject, “the U.S. signature strike program may be more than just ‘one hell of a killing machine’. It may also often be an unlawful one.” Moreover, in recent weeks, numerous high-level UN officials, including the special rapporteurs on counter-terrorism and on extra-judicial killings, declared that US drones strikes which kill civilians constitute a war crime. In response, the UN has set up a Geneva-based special investigations unit which will examine the legality of US drone strikes. In this context, the US could reasonably calculate that joining the ICC would put its practice of targeted killing under the microscope of international criminal justice. Lastly, it remains possible that the ICC will open an investigation into alleged international crimes in Palestine, especially if Palestine is eventually recognized as a state by the UN General Assembly. If the ICC opens an investigation, Israel will predictably be enraged and the US will just as predictably take sides with Israel. Indeed, Scheffer noted at a recent conference that the question of Palestine statehood and an ICC investigation stands in the way of the US joining the Court. Of course, it is important to note that the Obama administration has created some initiatives to bolster the Court’s mandate activities. The Rewards for Justice programme is set to be extended to include ICC indictees, a welcome progression to be sure. As importantly, some of the staunch anti-ICC sentiments amongst Republicans may finally be weakening. Despite these positive developments, it would be wise to expect more of the status quo rather than any dramatic changes in the US’s position towards the Court. As always, proponents of the ICC should remain vigilant rather than blindly support the political engagement of the world’s greatest superpower with the Court. Beholden to the promise of closer relations and the potential of America joining the Court at some undefined future date, there exists the ever-present danger that the ICC could become reliant on and reinforce America’s selective political interests. Still, a smart and cautious engagement could set the ground for eventual US accession to the Rome Statute, even if it isn’t by the Obama administration. This entry was posted in Drones, International Criminal Court (ICC), Israel, Palestine, Palestine and the ICC, United States. Bookmark the permalink. Mark, I think there’s one thing you forgot to mention in your post. Obama can sign whatever he wants, but an international treaty, such as the Rome Statute, must then be ratified by 2/3 of the Senate. There’s not a snowball’s chance in hell that that’s going to happen. If you need any proof of this, witness the debates a few months ago surrounding US ratification of the UN Convention on the Law of the Sea. It got nowhere because – get this! – this very dangerous treaty would be a threat to US sovereignty. Yes, US sovereignty. The Law of the Sea. It would be very curious indeed if somehow the ICC passed “sovereignty muster” after rules about territorial waters and the like were deemed too hostile to American national interests. I completely agree with your analysis, however there is one aspect upon which you did not touch: article 124 of the Rome Statute. If a future administration ever made ICC membership a policy goal, the article would be instrumental in reassuring the Senate as it effectively guarantees seven years of immunity for any and all war crimes.